Key global brewing industry exhibition, Brau Beviale, returned to Nuremburg last week. This article presents some analysis of latest trends in the beverage packaging and production industry…. 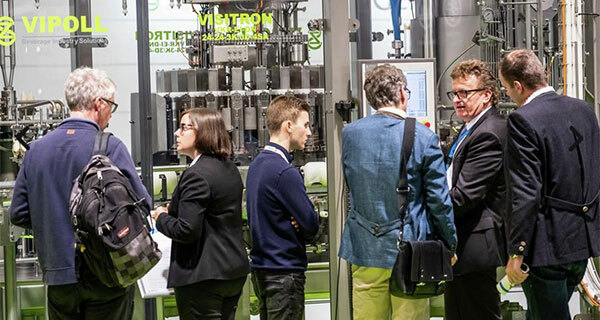 Sustainability was high on the agenda at Brau Beviale, especially for the packaging firms facing unprecedented scrutiny from a public freshly-attuned to the dangers of environmental waste. The Sidel Group, the world’s biggest manufacture of PET bottling lines, as well as glass and can makers Ardagh and Crown Holdings were all fighting to prove their green credentials. Perhaps feeling the heat most because of the focus on plastic waste, Sidel talked about how its bottling lines were reducing waste and inefficiencies. However, Crown and Ardagh, sensing new leverage, highlighted the recycling benefits of glass and metal, which according to Ardagh already have a more than 70% recycling rate in Europe, much higher than plastics. Global beer volumes may be shrinking but there was plenty of optimism on the floor of Brau Beviale, especially among firms catering to the booming global craft beer industry. Take for example, Portland Kettle Works. The company, which makes bespoke brewing equipment in Portland, has only been around for seven years but has a growing international sales slate boosted by interest in assets made in one of the hubs of the US craft beer scene. CEO Ken Massheimer says the company is benefiting from the exporting of the US craft beer business model to the rest of the world, which is keen to mimic the bold IPAs and high-abv, hoppy brews that has made US craft beer famous. Meanwhile, Portland’s US business is catering to the brewpubs, which according to the Beer Intsitute now account for much of the growth in US craft beer. Massheimer agrees, saying the market is “going towards brewpubs”. This is partly because heavy competition in craft beer has made retail sales an unlikely proposition for many independents. Indeed, his advice is to forget about them all together. Pity poor stevia – once hailed as the saviour of the soft drinks industry, now relegated to bit-part player that will always be linked to the disappointment of Coke Life. Wolfstädter adds that stevia still has a role to play but mainly as part of a blend of artificial sweeteners to mask the slightly bitter taste that remains associated with it despite the heavy investment from the beverage industry. The key to non-alcoholic draught? Earlier this year, Heineken’s head brewer, Willem van Waesberghe, said that non-alcoholic beer may never be big on draught because of contamination concerns. Disposable keg maker Lightweight Containers, which makes the KeyKeg product, claims it has a solution to the problem – and a simple on at that. It is producing non-alcoholic kegs that have a different shaped line fitting compared to its regular kegs. This way, the non-alcoholic kegs can never be used for alcoholic liquid, and vice versa. As demand for non-alcoholic beer grows, this could give further reason for bars to start serving it on tap, and give brewers in the category the on-premise exposure they seek. The brewing industry is looking to Africa for future growth. But the continent recently has faced a dearth of brewing industry exhibitions. Research and education group, VLB Berlin, in partnership with DuPont, is hoping to change that with the announcement at Brau Beviale of a new networking and educational conference, due to be held in May 2019 in Addis Ababa, Ethiopia. “Africa is currently the region in the world with the fastest growth in the brewing industry, and Ethiopia is one of the top four beer producers with a lot of momentum,” says VLB MD, Josef Fontaine. One suggestion is that with the disappearance of SABMiller – a big supporter of similar conferences in South Africa – a void has appeared. AB InBev, which bought SABMiller in 2016, is apparently more circumspect when it comes to industry events.